What is Certified Pre Owned? Have you been pre-approved for financing? Last chance End Of Month Blowout!! LEATHER, NAVIGATION, CLEAN CARFAX, CARFAX ONE OWNER, Bluetooth/Hands Free Phone, Q5 2.0T Premium Plus QUATTRO S/PREMIIUM/NAV, quattro, 3-Step Heated Front Seats, 3-Step Heated Rear Seats, Audi Advanced Key, Audi Connect CARE, Audi Connect PRIME & PLUS, Audi Side Assist w/Pre Sense Rear, Audi Virtual Cockpit, Bang & Olufsen 3D Sound System, Brake assist, Cold Weather Package, Driver Seat Memory, Electronic Stability Control, Exterior Parking Camera Rear, Full LED Headlights, Heated 3-Spoke Multifunction Steering Wheel, Heated Auto-Dimming & Power-Adjustable Mirrors, High Gloss Window Surrounds, Navigation Package, Panoramic Sunroof w/Tilt/Slide & Power Sunshade, Parking System Plus (Front/Rear Acoustic Sensors), Power Liftgate, Premium Plus Package, Radio: MMI Navigation Plus System, Rear Cross Traffic Assist, SiriusXM All Access Service, Stainless Steel Door Sills, Vehicle Exit Assist, Wheels: 8 x 20 5-Spoke Segment Design.Stew Hansen Dodge Ram Chrysler Jeep RAM is excited to offer this beautiful-looking 2018 Audi Q5. 2.0T Premium Plus quattro23/27 City/Highway MPGCall now to get special offers and VIP treatment from our internet division. Please contact us today at 1-888-993-8282. Pre-owned vehicle pricing includes all offers and incentives. Tax, Title and Tags not included in vehicle prices shown and must be paid by the purchaser. While great effort is made to ensure the accuracy of the information on this site, errors do occur so please verify information with a customer service rep. This is easily done by calling us at (877) 841-4585 or by visiting us at the dealership. 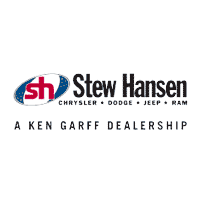 Stew Hansen Chrysler Dodge Jeep Ram	41.6159838, -93.7854697.